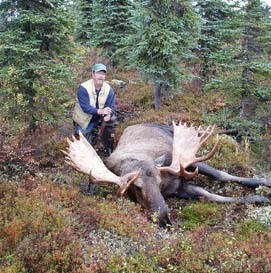 richard@alaskaoutdoors.com ; For more pictures, please click here. 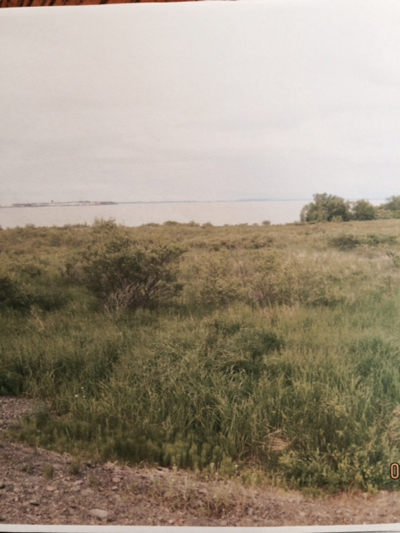 Prime rural Alaska Nushagak River waterfront property suitable for an exclusive lodge or other residential or commercial purposes. Will sell all or half. Large road frontage on paved road from Dillingham to the hospital. 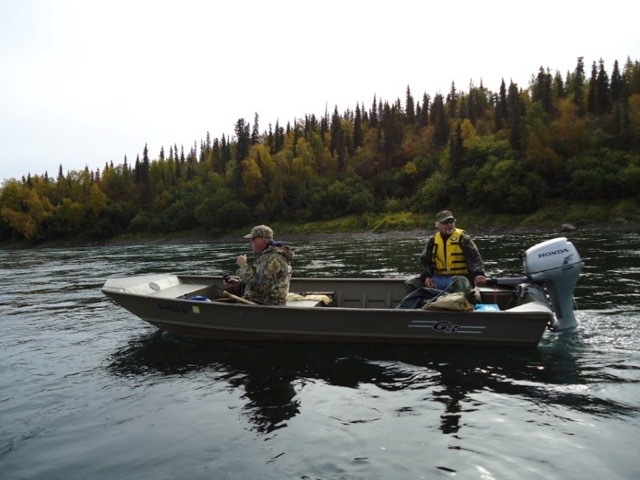 The Nushagak River has the best king and silver salmon fishing in the state and is the access point to the Tikchik area. Asking $200,000. This 5 acre waterfront parcel is located 25 miles up Alexander Creek near the confluence with Suckers Creek. Access is by river boat, snow machine, or supercub. There are 2 cabins on the parcel. The rear cabin is 20x28 and has 12 bunk beds. The front cabin is about the same size but needs a little TLC. This beautiful level lot is the perfect spot for your dream home or recreational cabin! Electric is at corner of lot, located off maintained road. 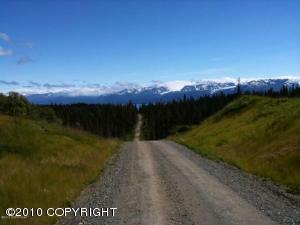 Gorgeous views of the Kachemak Bay, mountains and glaciers, and a freshwater stream is running on edge of the property. Wildlife area-great for your viewing pleasure! Owner finance available. 1.84 acres. Asking $65,000. 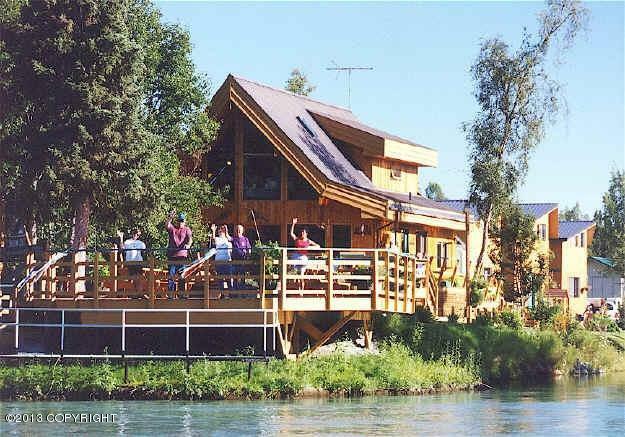 For this andother Alaskan properties, contact Jerry LaFevers at (907) 242-4546. Investor Dream!!! Approximately 1300' of linear bluff frontage. 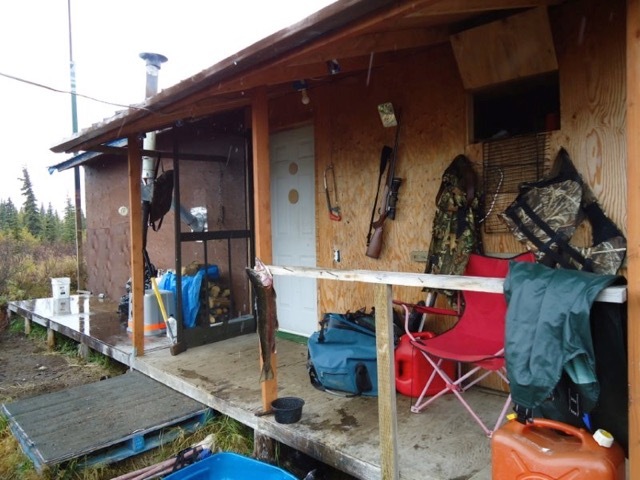 Hunting and fishing from this great property. 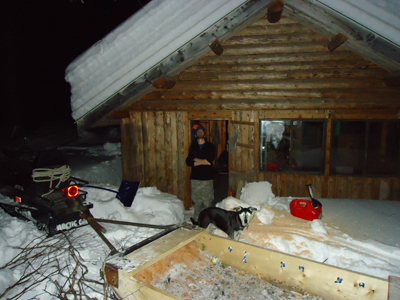 Established Cabin with a fabulous view of Cook Inlet and mountain range with a outhouse adjacent to cabin. Possible owner finance. 21.59 acres. Asking $140,000. 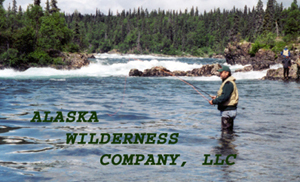 Alaska Homesteads is an Alaska Real Estate For Sale and For Rent Directory, and it includes links to Alaska realtors, real estate brokers, and their listings of homes, cabins, land and remote properties. Also included are short sales, foreclosures and "for sale by owner" listings of lots, acerage, cabins and homes in Anchorage, Soldotna, Wasilla, Mat Su Valley, Fairbanks, Juneau, Kenai, Homer and other areas of Alaska. 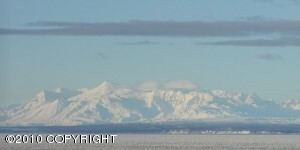 Buy Alaska land and property now as real estate prices have never been better! If you're buying a remote property, please check out our suggested furnishings, supplies and equipment for off the grid homes. 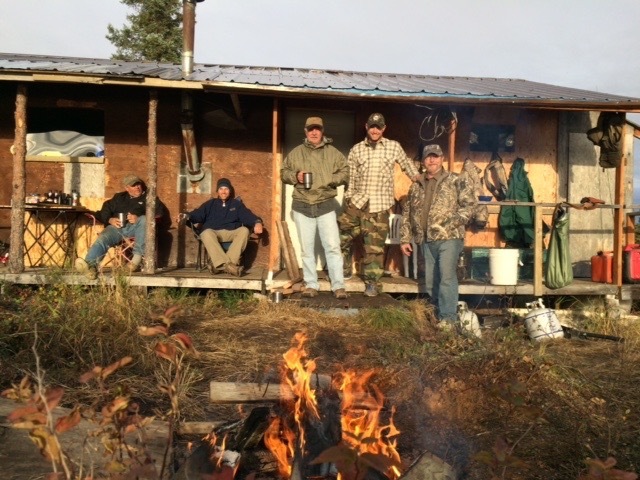 more about what's happening in Alaska! © Copyright 2017, Alaska Internet Marketing, Inc. All rights reserved.